Apex Legends continues to surf the wave of success. After the Battle Royale shooter cracked the million mark after just eight hours, he has now increased his player count tenfold. It could have been a tough fight on the oversaturated battle royale market. But Apex Legends, the new Battle Royale game from Titanfall developer Respawn, is currently recording one success after another. 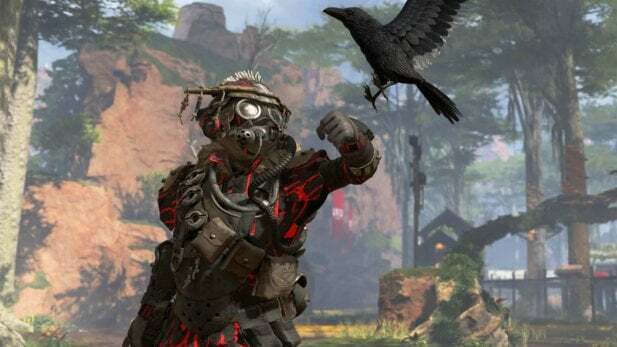 It only took eight hours for Apex Legends to accumulate one million players. Since congratulated even the inventor of Playerunknown’s Battlegrounds . The latest milestone: After 72 hours, it is now at ten million players. studio boss Vince Zampella announced in a press release and thanked the fans. It was really an incredible journey, we tested and adapted, we discussed and agreed, we reached a point where we felt some magic, we knew it was risky to steer the franchise in that direction, Free-to-play and a surprise launch, but we fell in love with Apex Legends and wanted other people to play it, hoping that you would love it as much as we did, but not even In our wildest dreams we could imagine this mass of support and positivity from all of us at Respawn, thank you for giving Apex Legends a chance, thank you for joining us on this journey, this is just the beginning! still so much before this year. In Apex Legends, 60 players compete against each other on a map that gets smaller and smaller with time as the dome shrinks. You always play in teams of three, the team play is in the foreground. Your characters are not faceless soldiers, but heroes like in Rainbow Six: Siege and Overwatch, which have unique abilities and heal or teleport teammates.